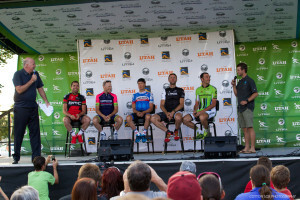 August 4, 2014 – The Larry H. Miller Tour of Utah kicks off today. 128 Riders from 26 countries representing 16 teams started today’s 7 day UCI 2.1 category stage race. 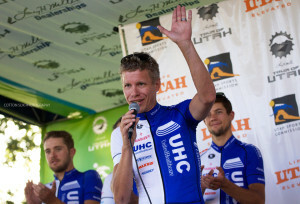 Tom Danielson (Garmin-Sharp) is back to defend his 2013 title. 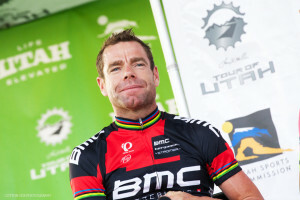 Three Grand Tour winners – Chris Horner (Lampre-Merida) – winner of the Vuelta a España, Ivan Basso (Cannondale Pro Cycling) winner of the Giro d’Italia, and Cadel Evans (BMC) – winner of the Tour de France are racing this year. 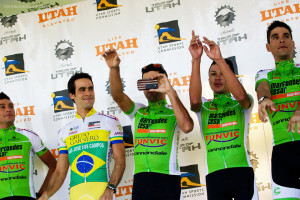 Utah based riders include – Chris and Tanner Putt (Bissell Development Team), Robbie Squire (Jamis-Hagens Berman p/b Sutter Home), and Jeff Louder (UnitedHealthCare Pro Cycling Team) will light up the roads. Look for the full rider list below. 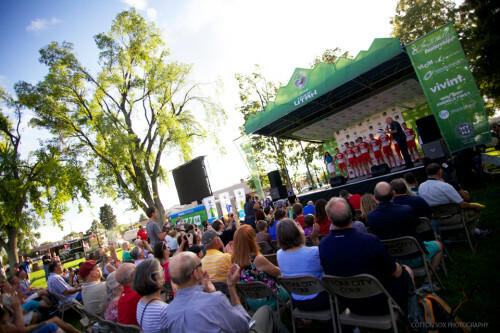 See also the gallery from the team presentation below. Below is the list of the riders and teams.